Conor Mcgregor is one of the greatest fighters of all time with a record of 17-1 in his last 18 fights. Irishman last fought inside the Octagon at UFC 205 which saw him becoming a first fight in the history of UFC to hold titles in two weight classes simultaneously after defeating Eddie Alvarez back in 2016. Last week at UFC 25th anniversary presser promotion announced the return of Conor Mcgregor at UFC 229 where he will try to pick up another legacy winning win when he challenges Khabib Nurmagomedov for a lightweight title on October 6th from Las Vegas. 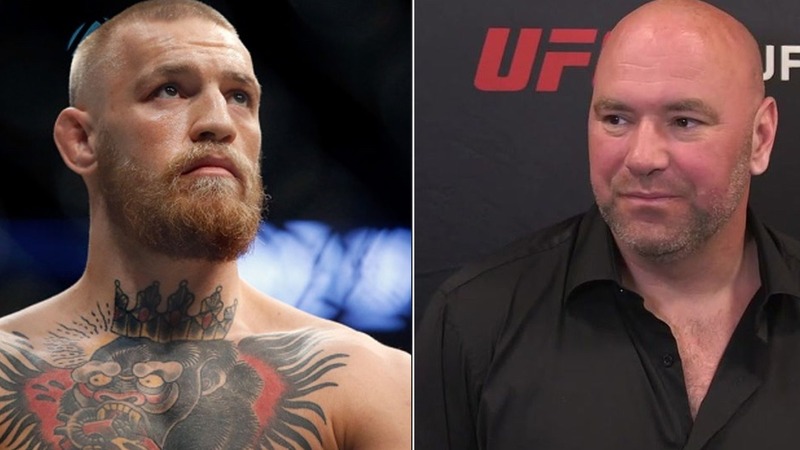 According to UFC president Dana White, this could be one of the biggest fights of in the history of UFC in regards to PPV draws. McGregor opened as an underdog for Khabib Nurmgaomedov’s fight, but it may not be the same as their showdown is still two months away. Mcgregor never lost the title inside the Octagon but relinquished both of these titles to take a hiatus from the UFC during which Irishman went on to fight Floyd Mayweather Jr. in a boxing match last year. In his absence, Khabib went on to win the lightweight title at UFC 223 after beating short notice Al Iaquinta in April. Meanwhile, Mcgregor was dealing with legal troubles that stem from his antics at UFC 223 media day. If Mcgregor scores a win at UFC 229, he’ll become the first man to defeat Khabib. White said, despite what Mcgregor has achieved in combat sports, he still hasn’t given respect as a fighter. “It’s funny to say this because of how popular he is and what a huge star he is, but I think Conor McGregor is one of the most underrated fighters in the UFC,” White said on UFC Unfiltered (via MMA Nytt). “Every time Conor McGregor comes out to fight somebody new and it’s a wrestler or it’s whatever, this is the fight that Conor is going to lose. He said that he would knock out Jose Aldo the way he did it, he said he would do it in the first round. White said people are underestimating Mcgregor’s lack of fighting abilities on the ground which he proved in the past. He went on to defeat the greatest wrestler Chad Mendes which people were not expecting. The same situation goes for Alvarez where everyone wants Irishman to lose, but he turned the tables. Conor Mcgregor already dethroned the greatest featherweight of all time Jose Aldo and greatest lightweight Eddie Alvarez and now looking to defeat Khabib who is considered a tough opponent for his excellent wrestling and ground game. Mcgregor’s standing game is no less either with strong left hand and outstanding knees as well elbows. Who do you think between two superstars will come out on top?